Vic Saudek started his soaring life in the early 1930s. He crewed for Martin Schempp at the first Shenandoah expedition to explore Big Meadows as a potential soaring site in September 1933. In 1937 he began writing articles about soaring for many publications but especially Soaring. These articles were about competition, soaring techniques, safety and also technical articles, for example barographs. His contributions to Soaring continued over many years - at least through 1995. He also published in Technical Soaring. He presented papers at OSTIV and the International Soaring Technical Association. He was active in the ESA Workshop held over Labor Day weekends in Tehachapi,CA. Perhaps Vic is most famous for his involvement in the Sierra Wave Project where he served as Project Manager starting in 1951. Dr. Joachim Kttner and Dr. Wolfgang Klemperer were Project Scientists. The work evolved into the Jet Stream Project in 1954. These programs were sponsored by the Air Force (Cambridge Research Center), SCSA, UCLA. The Navy at nearby China Lake lent instrumentation and other help as needed. Several soaring records were set during the program and by visiting glider pilots for absolute altitude and altitude gain. Vic reported on the program in his paper "The Sierra Wave Project from Concept to Fruition" presented at the National Soaring museum Symposium in 1975. During his career, Vic worked for North American, Pratt-Read, All-American Engineering, Luddington Griswold, Kollsman Instruments and Hughes Aircraft. He graduated from Carnegie Technical Institute in 1939 At that time, Carnegie offered two and three year courses in the mechanical and aeronautical fields. Vic was active in the Carnegie Tech Glider Club serving as President for 1938. He also wrote articles about soaring for the student publication. Vic Began in 1939 as a draftsman and ended up as an engineer. After his wanderlust with various companies, he settled down at Hughes working on space projects until retirement. This work included the successful Surveyor series of unmanned lunar landers and satellites. Vic was active in the early national soaring competitions. In particular he worked with barographs at the 1937 Nationals in Elmira. His task was checking, calibrating and servicing barographs on a volunteer basis. He also flew in that contest. He served again in the 1938 American Open Soaring Contest at Frankfort, Michigan, as Barograph Man and Meteorologist. Vic continued his support of contests for many years. 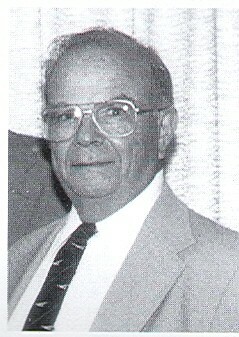 He also served SSA as a Director during the World War II years. 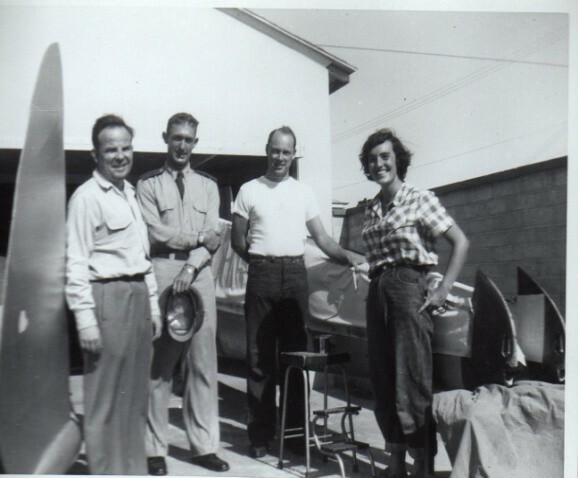 From the 1950s on, Vic's home in the Los Angeles area served as a meeting place for soaring pilots. 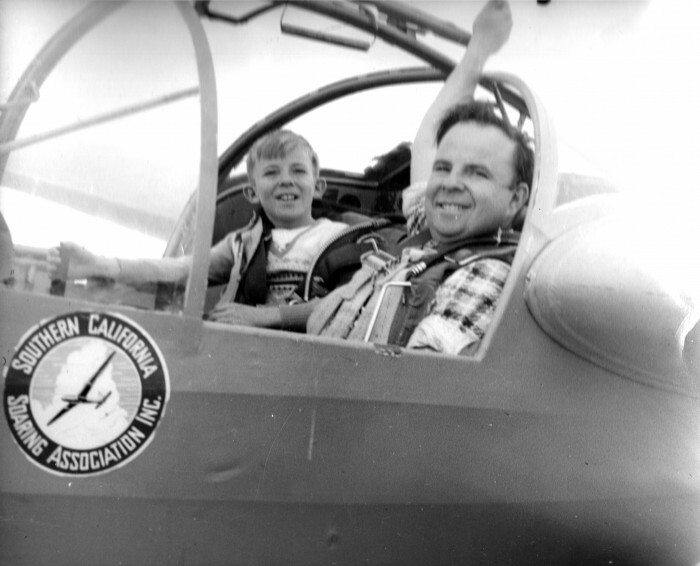 Vic himself was a 1,000 hour commercial glider pilot for sailplanes. He earned Silver # 164 in 1952 and Gold #745 in 1972. 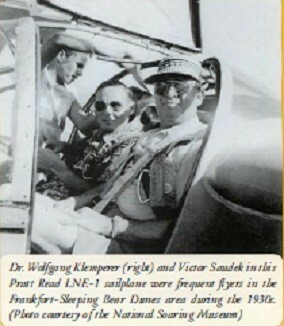 Flight personnel, VIc Saudek left; Betsy Woodward right.